JuiceLubes have been selling product in the mountain bike industry for around 8 years now, starting back in 2009 with the release of their very first MTB specific product, Fork Juice, The Forking Good Suspension Lubricant. Fork Juice was designed to help suspension work better and last longer, what is really did was reduced stiction, improved small bump sensitivity, lubricated and protected. Mtbbeds.com have been partners up with JuiceLubes for 3 years now, the reason being is because they are great value for money and they work, simple. We provide FREE Juice Lubes in all of our self catered and catered accommodation in Morzine, this is just one reason we can claim to be an MTB specific accommodation provider let alone that every property also has a Karcher jetwash, ParkTool stands, track pump and cleaning brushes. We provide one can of Fork Juice, one bottle of Juice Lubes Dirt Juice and one bottle of Juice Lubes Chain Juice Dry or Wet depending on the current weather. These free products go down a storm with our clients and it also means you don't have to waste weight in your bags or risk the chance of chain oil blowing up all over you kit it transit. 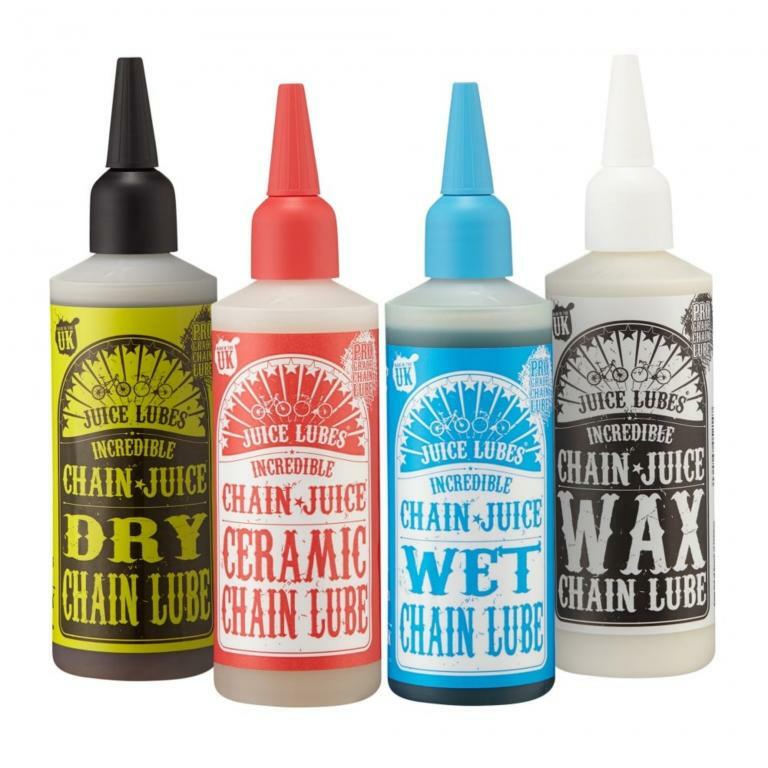 Chain Juice Dry is a hard wearing, advanced, dry weather conditions chain lube that works a bit differently to other dry lubes. The lubricating element is suspended in a highly penetrating, bio-degradable, solvent carrier. When applied to the chain, the carrier quickly “searches” its way in between all the pins and rollers of the chain which is where it is needed the most. When the conditions are moist to monsoon you need a chain lube that’s going to stay put and keep working. Chain Juice Wet is that lube. It has been thoroughly tested through 3 British summers so far (so we know it works in hideous conditions) and happily keeps rust and corrosion at bay whilst at the same time remaining firmly in place on the chain.The formulation of Chain Juice Wet (and all other Juice Lubes chain oils) includes extreme pressure additives that allow it to keep lubricating even under extreme loads. Fork Juice is where it all started for Juice Lubes and since releasing the product in 2009 we have sold tens of thousands of units to happy and now stiction- free riders, all over the world. It’s been much imitated since but is still the original and the best. Fork Juice suspension lube is a quick, easy, great value prevention or cure for stiction related suspension problems. It’s used by riders, racers and weekend warriors alike for all or any of the following:Improving small bump sensitivity.